More than 100 people have drowned in the Great Lakes so far this year, making it the deadliest year this decade already. 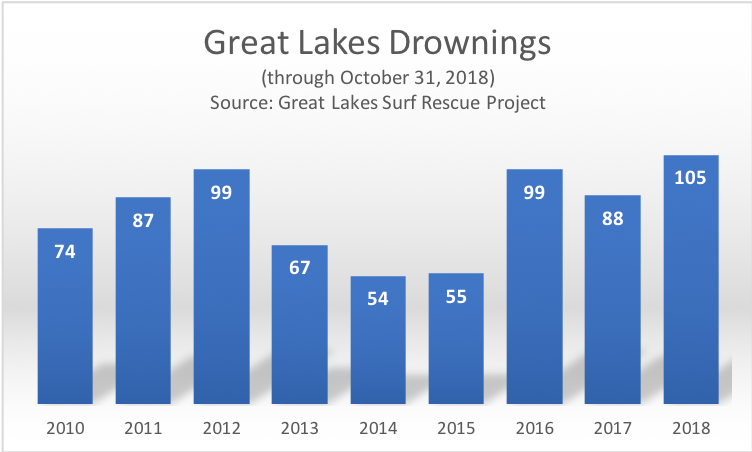 Great Lakes drownings tend to fluctuate year over year, with trends linked to weather patterns, said Bob Pratt, a former East Lansing fire chief who founded the Great Lakes Surf Rescue Project in 2007 and is its executive director. Drownings typically spike when the weather is warm and waves are high, conditions more likely to drive people to the beach. 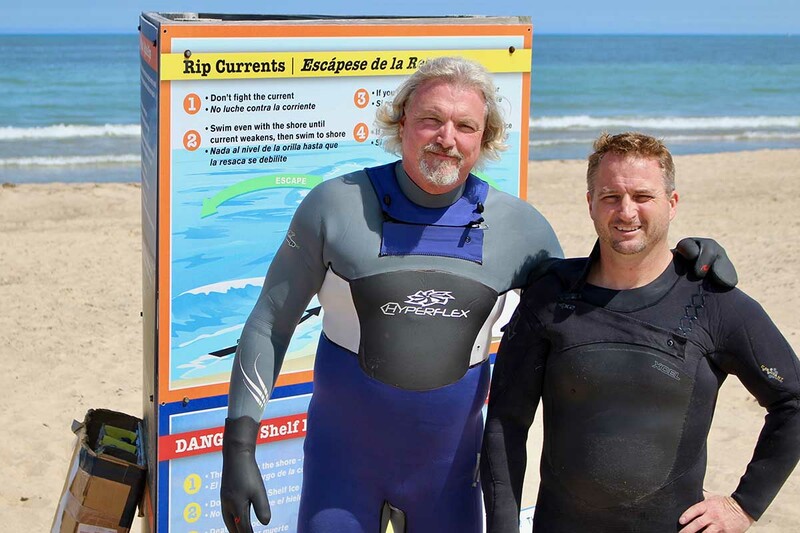 “When there are waves and winds on a weekend — the three Ws — we tend to see more drownings,” Pratt said. And as climate scientists expect higher temperatures in the coming years and more frequent and intense storms in the coming years, “that doesn’t bode well” for safety on the Great Lakes, Pratt added. Pratt’s small nonprofit views most drownings as preventable. It began tracking them because no government agency catalogues drownings on the waters that touch eight states and two nations and can be more perilous than oceans. The group scours news reports and other official sources for data, and sometimes gets tips from friends or others on-the-ground. One important statistic in that data, Pratt said: Off all the Great Lakes drownings he’s tracked since 2010, only 12 people were wearing life jackets. That means 98 percent of those who drowned weren’t. Three of this year’s Michigan drownings occurred off the sandy beaches of Grand Haven State Park along Lake Michigan. August 5 proved particularly tragic. That’s when 20-year-old Lansing man and a 64-year-old man from Wyoming drowned in separate incidents as winds propelled hazardous 3-to-5-foot waves, according to WOOD TV in Grand Rapids. And in a dramatic moment captured on video, a chain of beachgoers pulled five other swimmers from the lake.